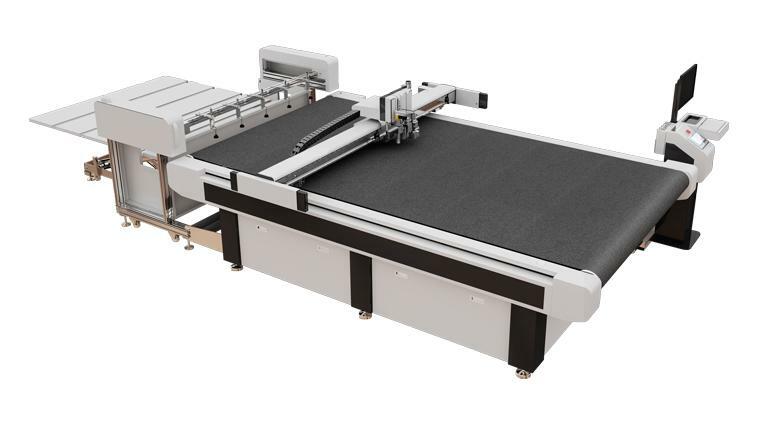 System that checks the table flatness and evenness to prevent deviations higher than 0.15mm, ensuring a uniform cut throughout the working surface. 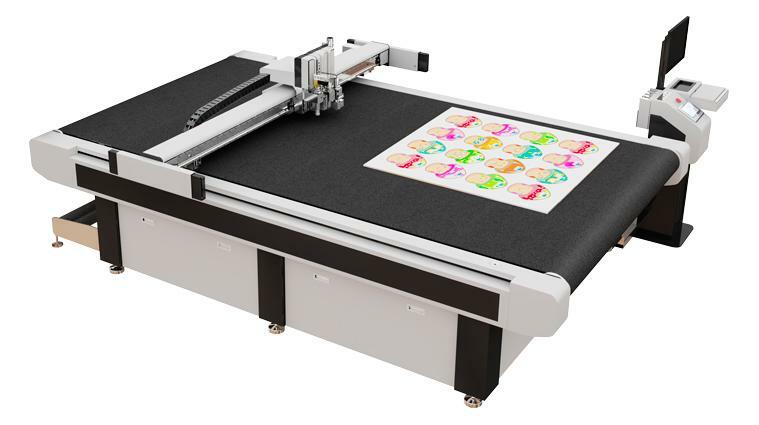 Optional register camera with software to obtain more precise cutting results. Versatile tool head that admits different types of accessories, such as vinyl blades, fixed blades or drag cutting, cutting wheel, milling, v-cut, etc. Conveyor belt to meet the demands for different types of materials, such as rolls or sheets. This allows picking up and feeding the materials in a completely automated way, saving time, improving the efficiency and preventing human errors. Tools Triple head. Engraving, cutting, oscillant, laser point and camera.